Another great evening working alongside Michael Sutton Cellars launching their fantastic new space 'Riversbridge Stables' A lovely light, airy space for private hire, which seats 24 for dinner, or alternatively a reception for 40 standing. It's set in a stunning location just outside Dartmouth. So if you fancy having a special celebration with amazing food and wine this is the place to book! 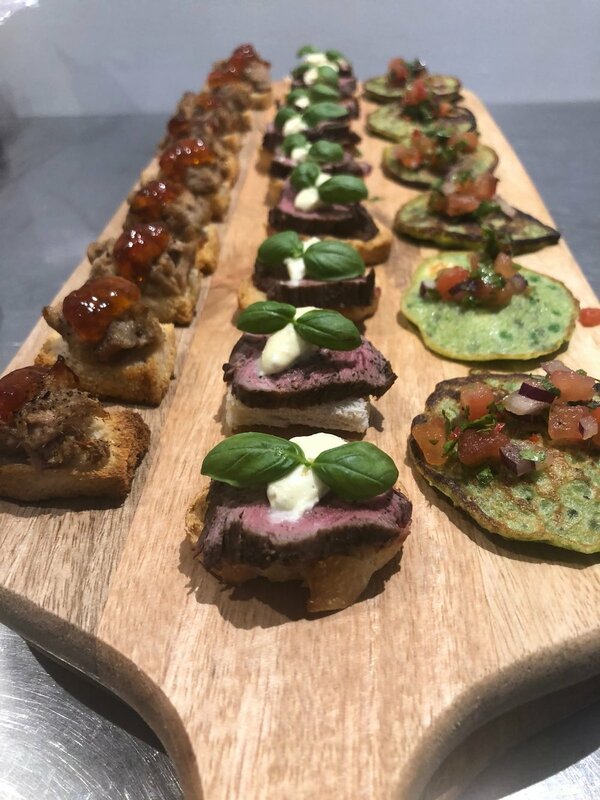 Just a selection of the canapes served on the evening.